A message, name, phone number, etc. is displayed. Lower-case characters and special characters cannot be displayed. If “BT” is not displayed, the hands-free system cannot be used. The voice guidance volume cannot be adjusted by using this button. By following voice guidance instructions output from the speaker, voice commands enable to the operation of the hands-free system without need to check the display or operate . Press the talk switch and follow voice guidance instructions. Press the off-hook switch or the talk switch. The introductory guidance and phone name registration instructions are heard. 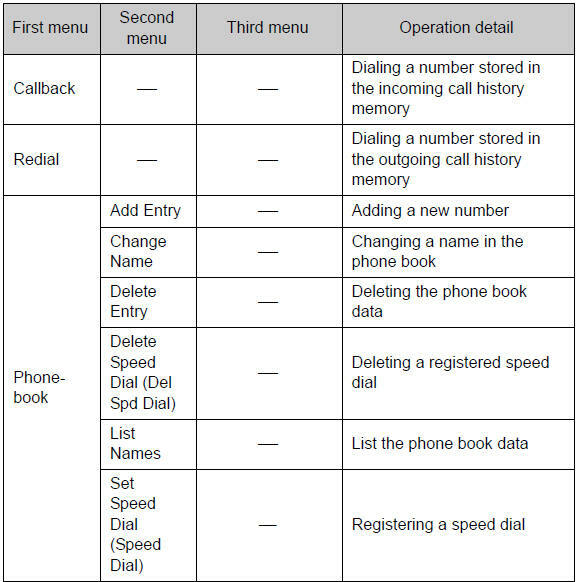 Select “Pair Phone” using a voice command or . 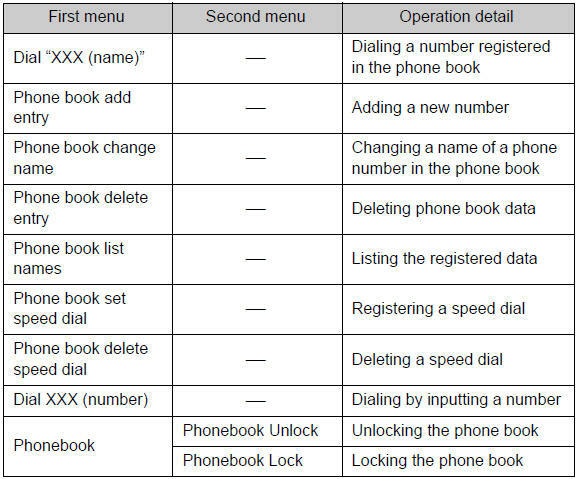 Register a phone name by either of the following methods. Select “Record Name” using , and say the name to be registered. Press the talk switch and say the name to be registered. A voice guidance instruction to confirm the input is heard. 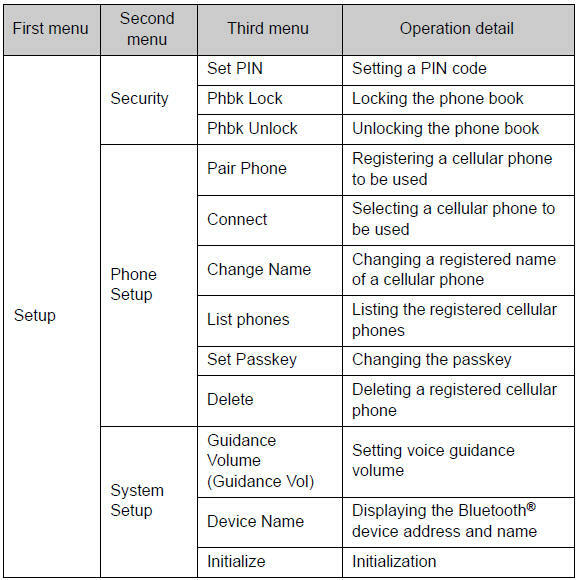 A passkey is displayed and heard, and a voice guidance instruction for inputting the passkey into the cellular phone is heard. Input the passkey into the cellular phone. Guidance for registration completion is heard. If the cellular phone has a Bluetooth® audio player, the audio player can be registered at the same time. A voice guidance instruction to register a Bluetooth® audio player is heard. Select “Yes” or “No” using a voice command or . 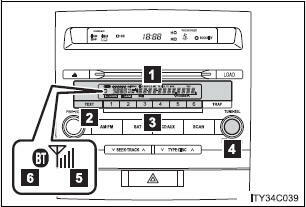 Automatic volume adjustment When vehicle speed reaches 50 mph (80 km/h) or more, the volume automatically increases. The volume returns to the previous volume setting when vehicle speed drops to 43 mph (70 km/h) or less. For numbers, say a combination of single digits from zero to nine, # (pound), * (star), and + (plus). Say a command correctly and clearly.